When you log into Flickr, you’ll see something like this. Yahoo again ranks as one of the world's 100 most valuable brands. The Internet company nabbed the 92nd spot in the annual list of global companies from multiple industries including technology, retail and service, released Tuesday by BrandZ, a brand equity database. The ranking gave Yahoo a "brand value" of US$9.83 billion, which is based on the opinions of current and potential users as well as actual financial data. Apple occupied the number-one position on the http://www.wpp.com/~/media/Reading-Room/BrandZ/brandz_2013_top_100_report_may13.pdf">list, with a brand value of $185 billion. Google was number two, with a value of roughly $114 billion. The BrandZ ranking, commissioned by the advertising and marketing services group WPP, incorporates interviews with more than 2 million consumers globally about thousands of brands along with financial performance analysis to compile the list. Yahoo last appeared on the list in 2009 at number 81. Yahoo's inclusion on the 2013 list comes as the Internet company works to reinvent itself and win back users. Previously a formidable player in Silicon Valley, the company has struggled in recent years to compete against the likes of Google, Facebook and Twitter. Improving its product offerings on mobile has been a focus. New mobile apps for email and weather have been unveiled, along with a new version of the main Yahoo app, featuring news summaries generated with technology the company acquired when it bought Summly. Most notably, Monday the company announced it is acquiring the blogging site Tumblr for $1.1 billion in cash. 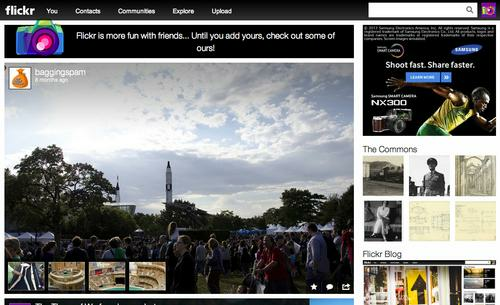 Big changes to its Flickr photo sharing service were also announced. Yahoo's rebuilding efforts have picked up steam only during the last several months, but the 2013 BrandZ study was completed by March 1. However, last July's appointment of Marissa Mayer as CEO likely played a significant role in the company's inclusion in the ranking, said Altimeter analyst Charlene Li. "Consumer perception has gone up since then," she said. "Yahoo's leadership has a strong sense of what they want to do with the brand," she added. Yahoo's 2012 total revenue was flat at $4.99 billion. However, after subtracting advertising fees and commissions paid to partners, net revenue was up 2 percent year-on-year. Yahoo declined to comment on the ranking.